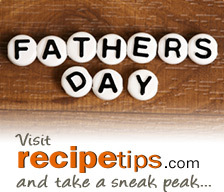 On Father’s day, treat Dad to a feast featuring the recipes at RecipeTips.com. Our tasty collection includes everything from appetizers to desserts—and of course, an array of grilled favorites for a fun outdoor barbecue to celebrate Dad’s special day. It's worth the time and ingredients for all the flavor this salad provides. 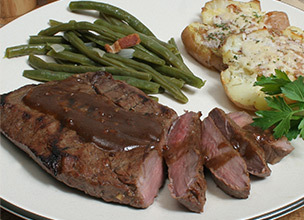 It's a great addition for a summer picnic or barbeque. A wonderful tasting onion relish tops this moist burger.